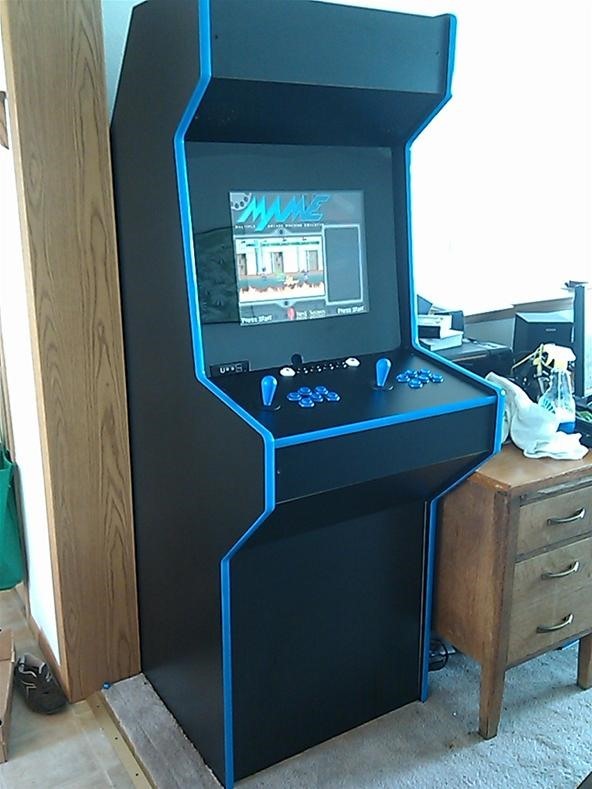 MAME/SNES/GENESIS/NES/+ Arcade style 2 player cabinet. Designed in SolidWorks, cut out of 2 sheets of 3/4" Melamine on CNC router. where did you get the buttons and joysticks? Thanks guys, I got the buttons, joysticks, and blue T-molding from groovygamegear.com (about $65) the miniPac w/ wire harness interface for connecting the buttons and joysticks to the PC was from ultimarc.com (about $65). The rest was from the hardware store (about $80) plus a PC and monitor. I'm looking to build a cabinet for my girls...The guys at work use Solidworks and could send through the cuts to our CNC Rovers...would consider making the files available?